The place to play and stay in Derby. We are your Gateway to the Historic Gibb River Road. Situated centrally on Derby's main highway, Loch Street. 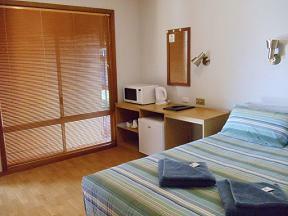 Featuring 48 fully air conditioned motel rooms and offering friendly service plus great value for money. A selection of modern rooms that accommodate Double, Twin, Triple and Family shares. 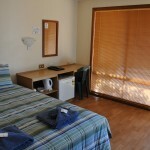 All rooms equipped with confortable beds, en-suite bathroom, flat screen TV,Foxtel,fridge and kettle. Accommodation also features a fully shaded swimming pool, a perfect retreat from the Kimberley Sun, and BBQ area. The hotel also has secure parking with large gates and security cameras. Lalgardi Restaurant serves big pub meals with the freshest ingredients from Western Australia and the Kimberley. Open for lunch and dinner and also offer takeout. The Boab Hotel bar is open seven days per week from 12pm til late and is a popular Derby watering hole for locals, workers and tourists. Entertainment includes two pool tables, a juke box, TAB system and regular entertainment on Friday nights. Also on offer, a large shaded beer garden. All New & Exciting, Lunch & Dinner Menus. 2005 Derby Small Business Awards & 2005 Kimberley Small Business Awards. 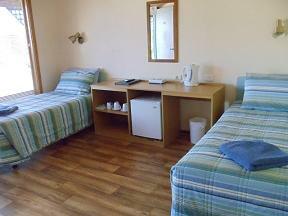 Rooms have single bed & ensuite. If less than 48 hours notice is given 1 night tarrif cancellation fee will apply.